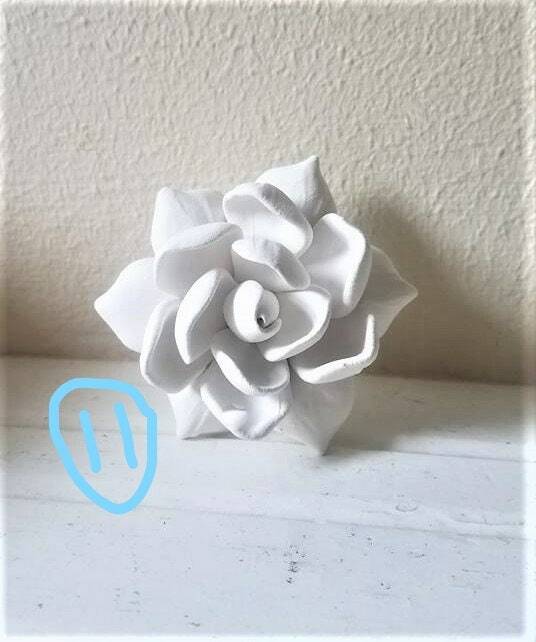 My wall hanging flower sculptures are now available in a mix and match set! 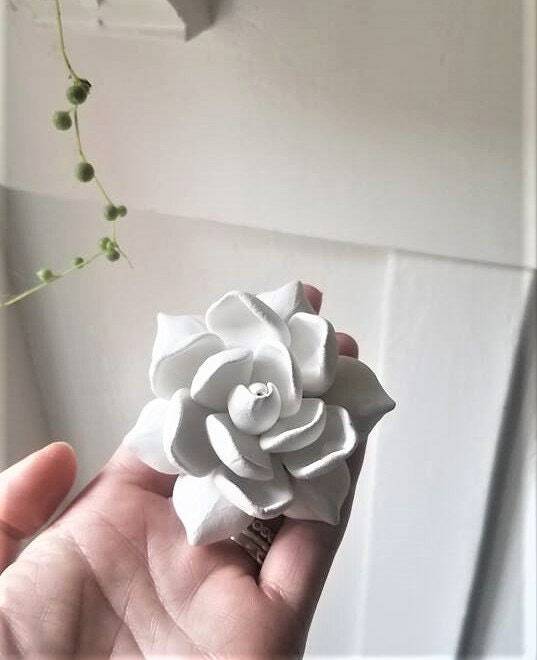 I make each flower from scratch, install a hook in the back of each for no hassle hanging. All you will need are a hammer and nails (and a wall). 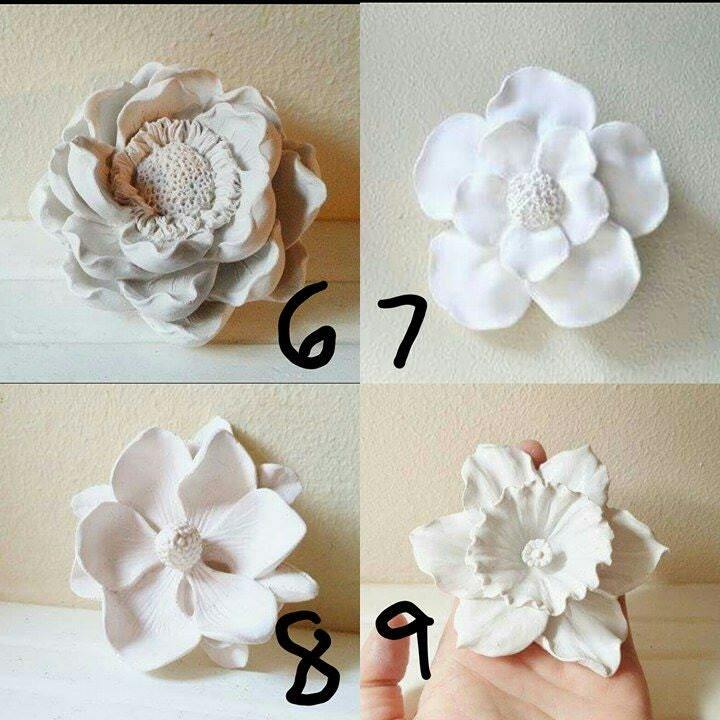 Please choose a set of 5 flowers , 10 or 20 flowers... feel free to request any other set sizes and I will make a special listing for you! See my shop for more styles of wall flowers not included in this listing. Please see my shop for individual flower listings. 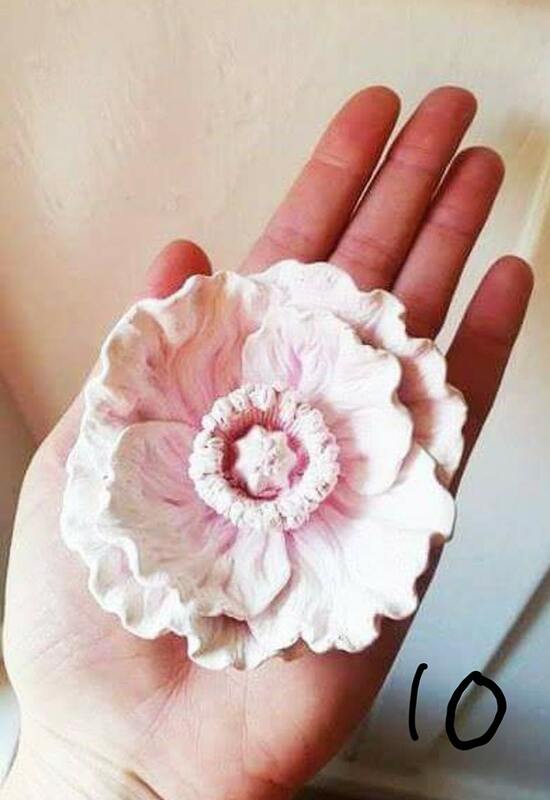 This listing is for a of INDIVIDUAL flowers. This is NOT one large sculpture. 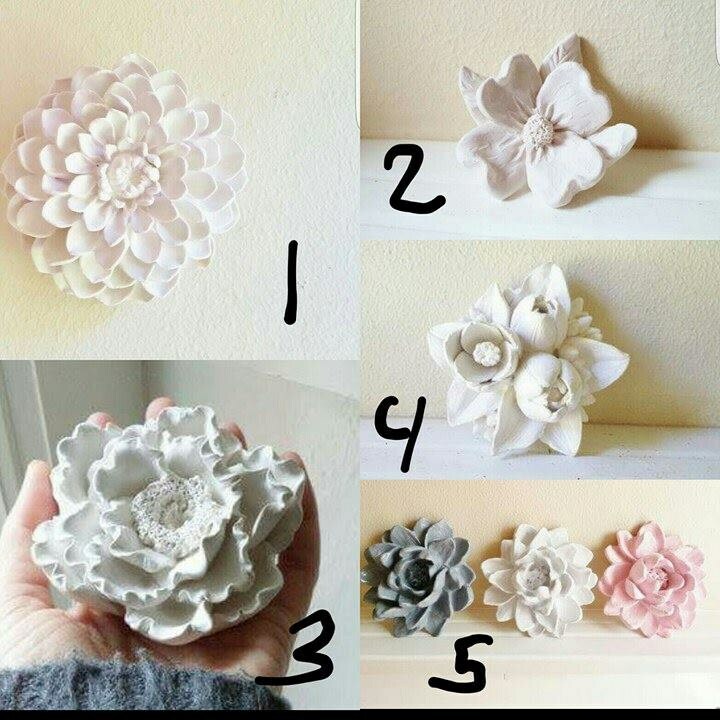 Styles are as follows: ( Large flowers are 5" across, small are under 5") See pricing and set sizes in options. **** See my shop for a few LARGER styles and SUCCULENTS! 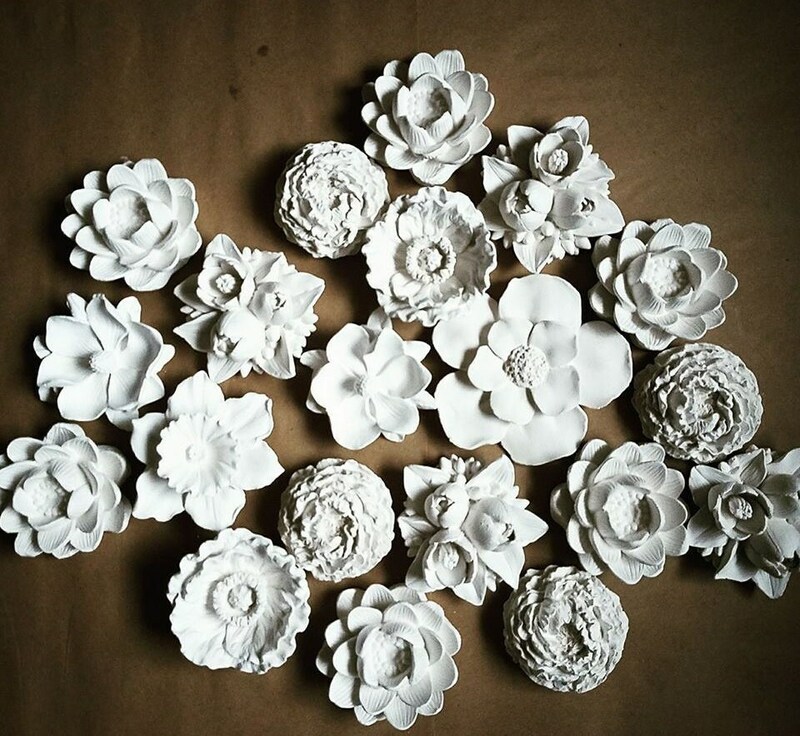 Clustering these flowers together make a lovely 3 dimensional floral statement piece! Mixed group of 20 will include any styles you choose! 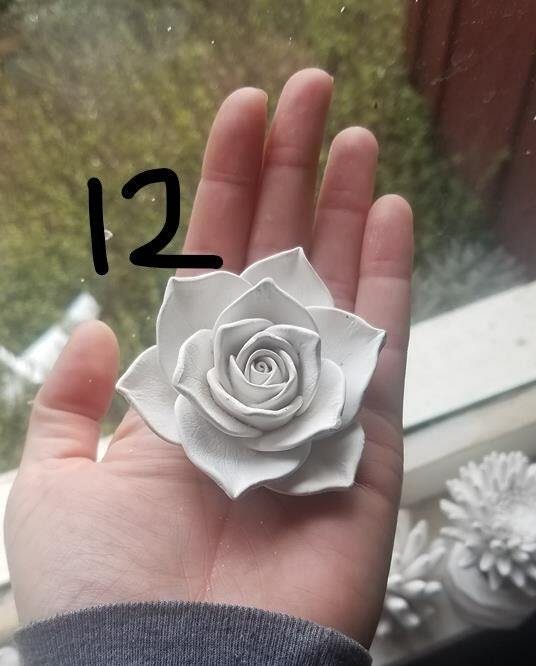 **Each flower is only available in the size listed. ***Shipping overages will be refunded **shipping cost set for U.S. deliveries only. Please inquire for international shipping cost. Please send me any questions! This was the second set of 5 that we ordered as we loved them so much! 2nd set exceeded our expectations as well! Excellent communication and customer service from seller. Item arrived timely and they look beautiful! Love them so much, considering purchasing more! WOW! Pleased beyond my expectations! Highly recommend this seller.